Upscale Ranch living at its finest! 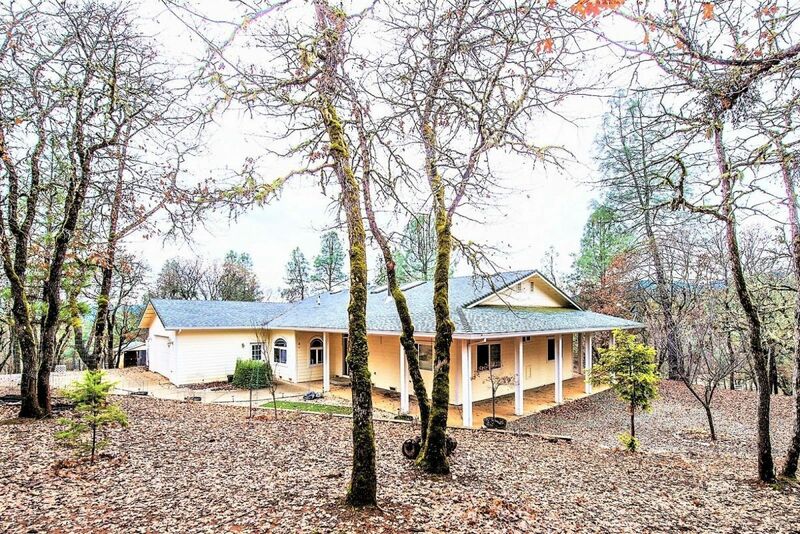 Close to town but tucked away on over 5 acres bordering BLM land. Plenty of room for all your horses, dogs, or other critters with the already fenced in coral and large dog run! Trails await you in your own backyard & beautiful mountain scenery This 3 bedroom 2 bath, 2100 sq ft home, with attached 2 car Garage has it all & very tastefully designed. Great Room offers Bamboo flooring, Cedar lined Cathedral ceilings, large windows to bring the outdoors in, recessed & custom lighting, with an open floor plan. Kitchen offers rustic Alder cabinets with built in wine racks, top of the line stainless steel appliances, commercial grade gas range with grill top and a tile backsplash, custom island with granite tile countertops. Feel luxurious in the Master en-suite w/ large walk-in closet w/ French glass double doors, soak in the 7 ft bathtub w/tile surround or step outside the slider door and relax on the wrap around patio while stargazing in the hot tub!. Not to mention there is also a huge 1100 sq ft dethatched Garage w/ RV roll up doors, workshop space, bonus room, fullbathroom, washer & dryer hook ups, & a woodstove. This one is a must see!